Acer's brand-new Triton 700 gaming laptops promise maximum performance in slim cases. 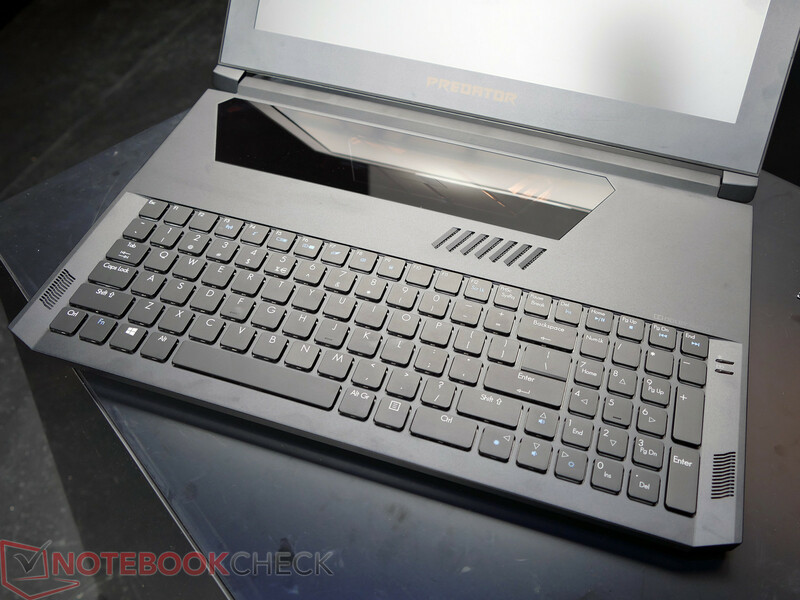 The highlight is the mechanical keyboard in the 19 mm slim 15.6-inch casing. Interesting: Acer does not specify the exact GPU and only talks about "Nvidia GeForce GTX GPUs". Could this be one of the first models with the rumored Nvidia Max-Q GPUs? No, the Triton 700 is not supposed to replace the existing high-end systems Predator 15 und Predator 17. The latter are still the core products in Acer's mobile gaming lineup. 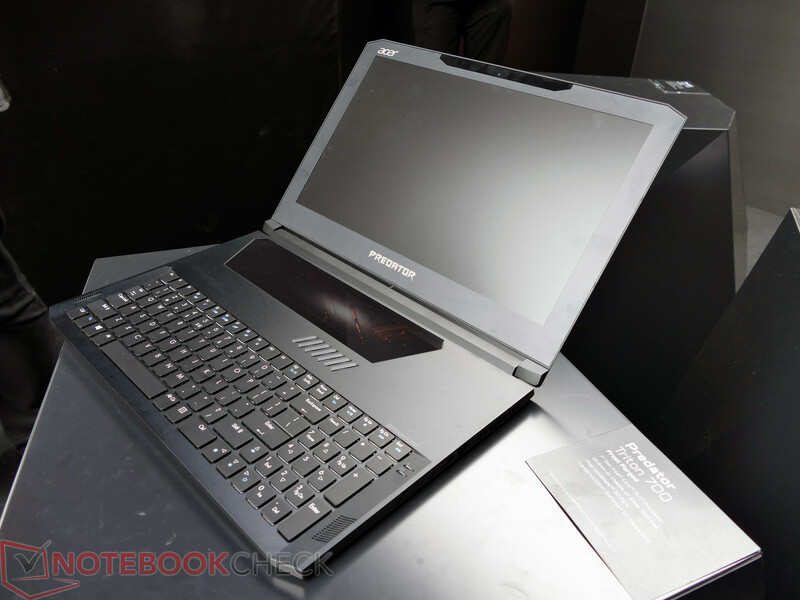 However, contrary to many rivals, Acer hasn't offered slim or light gaming notebooks so far. The Predator Triton 700 is supposed to close this gap. 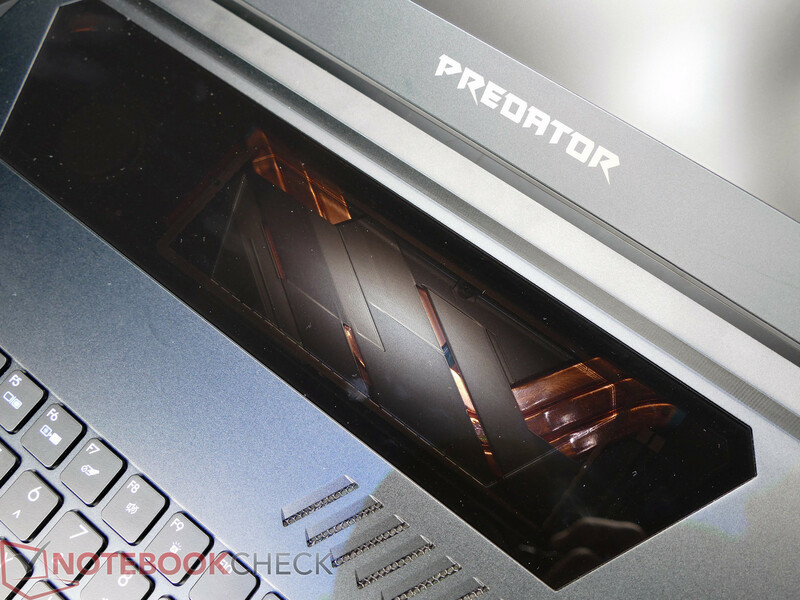 What is inside the new Predator Triton 700? 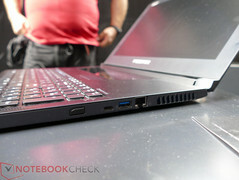 The initial specs from Acer are conspicuously limited. Neither the processor ("7th Gen Intel Core processors") nor the graphics card ("Nvidia GeForce GTX GPUs") is specified, so there is plenty to speculate about. 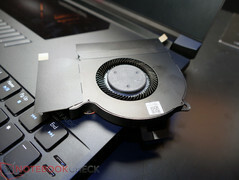 Acer will probably use the usual quad-core processors like the popular i7-7700HQ. Dual-core chips are possible as well, but unlikely when you consider the high price recommendation (quoted at USD $2,999). 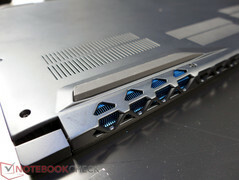 High-end performance in 19 millimeters thanks to Nvidia "Max-Q" GPU? We expect Nvidia's high-end chip GeForce GTX 1080 in this price segment, but the familiar GTX 1080 GPU seems unlikely considering the high cooling requirements. 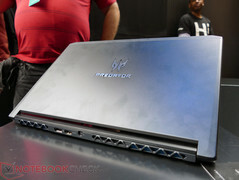 This supports our speculations: It could be the first laptop with the leaked upcoming Nvidia GeForce "Max-Q" GPUs. Acer did not comment on this topic. Nvidia could announce a number of new or modified graphics cards, which are specifically designed for ultra-slim gaming systems, at the upcoming Computex. Rumors indicate a reduced power consumption at ~110 Watts for the GTX 1080 Max-Q (compared to 165 Watts for the "regular" laptop GTX 1080). The performance of the chip should be somewhere between a regular GTX 1080 and GTX 1070 based on some initial information from insiders. Back to the facts about the new Triton 700 gaming notebook. 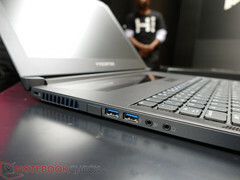 The laptops will be equipped with a matte 15.6-inch Full HD display (1920 x 1080 pixels). It is based on the IPS technology for wide viewing angles. Acer also supports Nvidia's G-Sync, but only on an external monitor. The port selection includes Thunderbolt 3 (40 Gbps), two USB 3.0 ports, one USB 2.0 port, HDMI 2.0, DisplayPort as well as Ethernet (Killer DoubleShot Pro). The keyboard design is unusual: There is no touchpad at the front to make room for a mechanical keyboard. 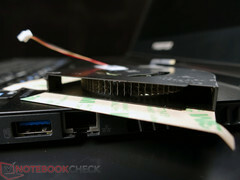 The latter also features a customizable RGB illumination. 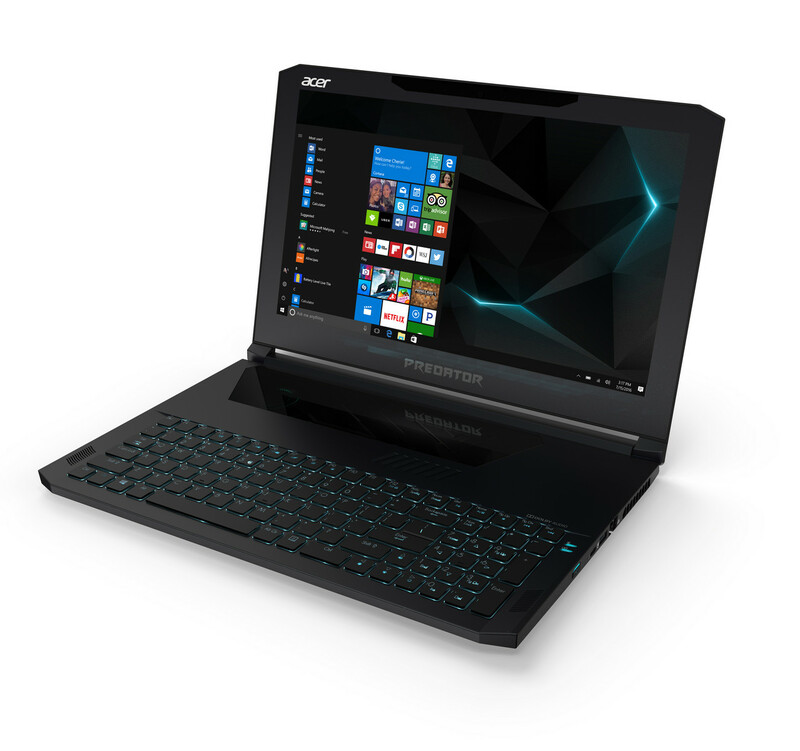 Acer plans to sell the systems in August starting at USD $2,999 with more details to come.